Hobbit Holes Experience Vouchers are a perfect gift to anyone who loves Hobbits! Experience life underground with a glorious lake view and all the creature comforts. 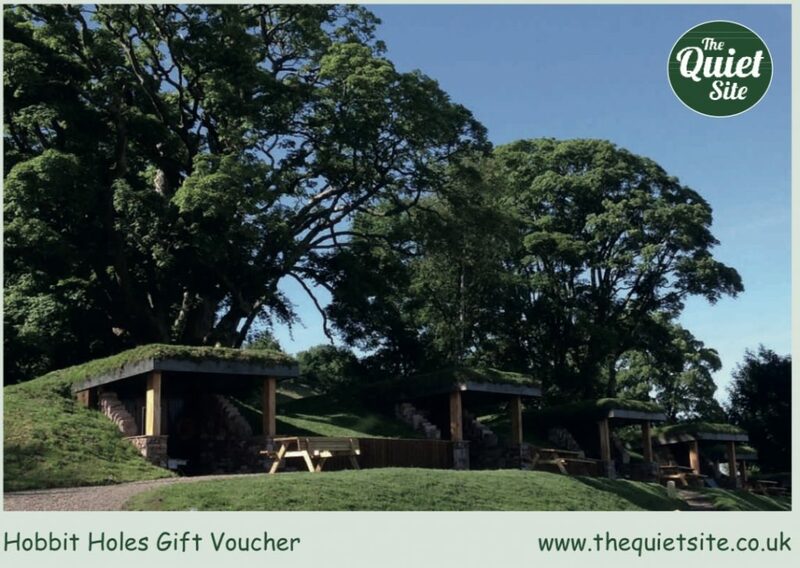 Quiet Gift Vouchers let you gift some ‘Back to Nature Time’ to loved ones. These vouchers can be used for any of our accommodation types; Glamping Cabins, Camping Pods, Bell Tents, Holiday Cottages and Pitches as well as in our shop and bar. Vouchers can be automatically emailed straight back or sent through the post. Personalise with a message. A Quiet Gift Voucher is more than just a present… its a lifelong memory. In this day and age a priceless gift!